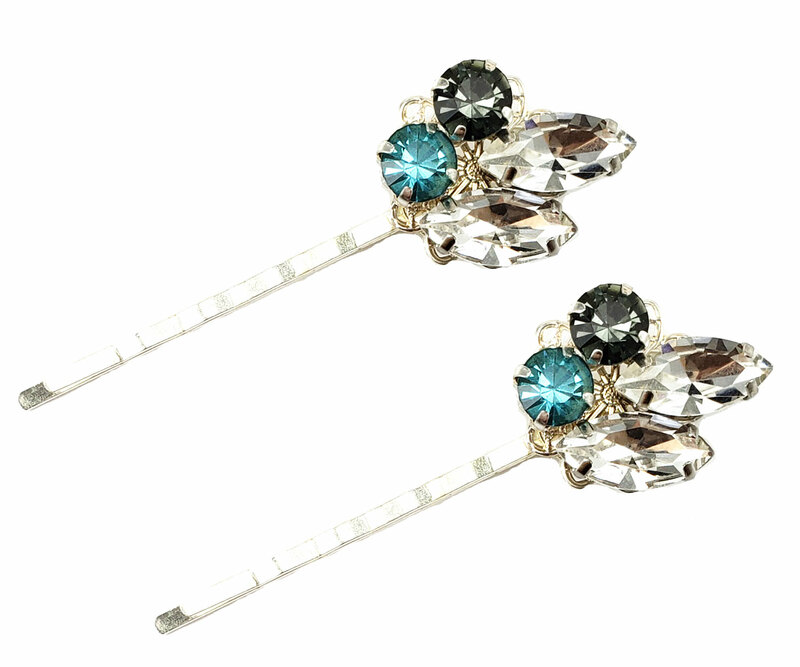 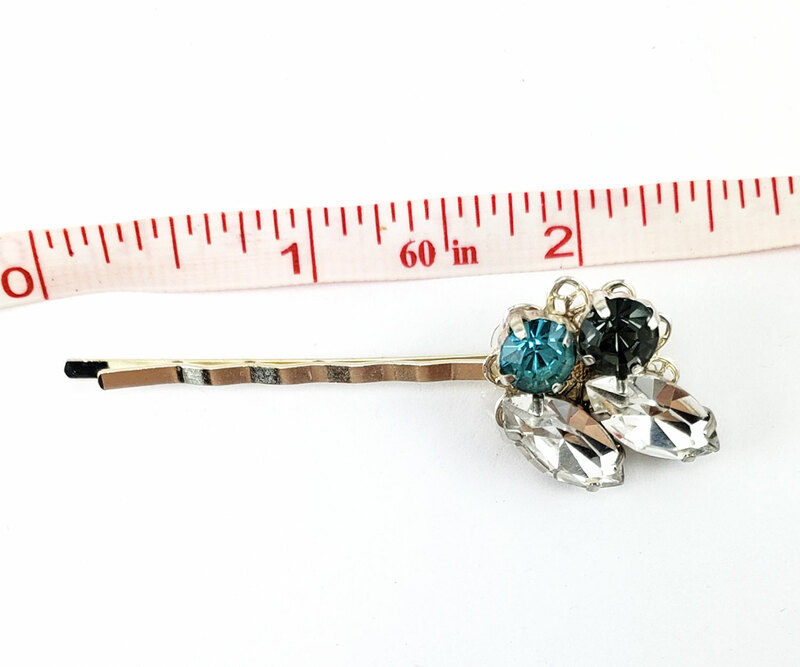 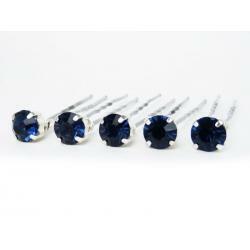 Handcrafted ocean inspired blue gray rhinestone bobby pins. Perfect for nautical, tropical, beach wedding hair accessories. 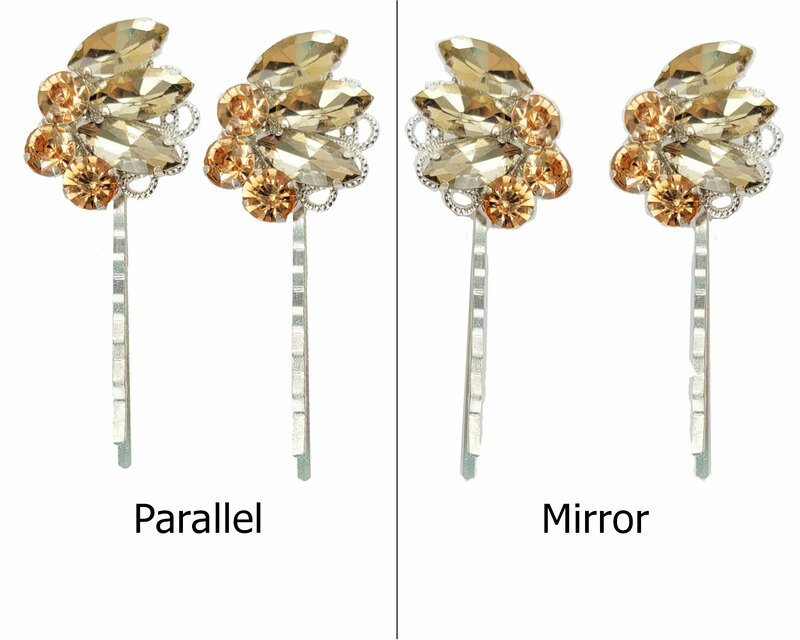 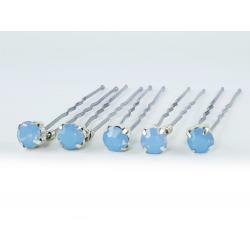 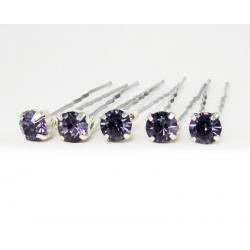 Hand designed glass rhinestones with filigree on sturdy silver tone bobby pins.